Take part in a frantic race and be the first to reach the top of the mountain. But beware of the great eagle, which could prevent you from doing so! - A real board game with a long life span combining chase and reflex running. 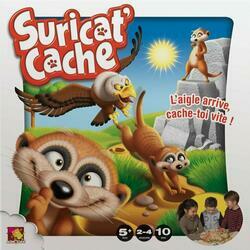 - A game that differs from other action games, with its small suricates.